There are multiple components and clusters that are involved while upgrading DLM. 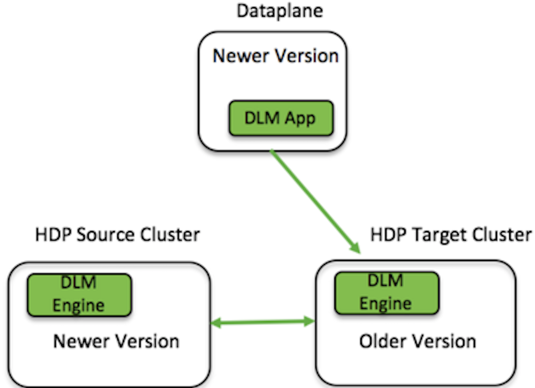 Dataplane Platform and DLM App which are installed on the Dataplane host. 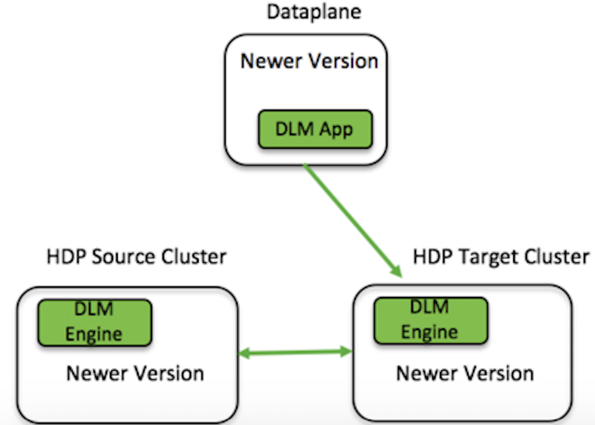 HDP and DLM Engine on the multiple HDP clusters. On upgrading HDP version from 2.6.5 to 3.x, DLM Engine would be removed as part of upgrade process. You must install the required version of DLM Engine once the HDP upgrade succeeds. After upgrading from DLM 1.3.x to 1.4.x on a secure cluster, if the Knox gateway is not installed on the cluster, you must set beacon.kerberos.authentication.enabled as false. Hive replication from DLM 1.3.x/HDP 2.6.5 to DLM 1.4.x/HDP 3.1 is not possible. You must upgrade DLM on source from 1.3.x to 1.4.x to proceed with this scenario. These components and clusters may not be upgraded at once, but can be upgraded over a period of time. DLM is designed to work across versions for these components. However, the following upgrade order is recommended for performing the upgrade process. 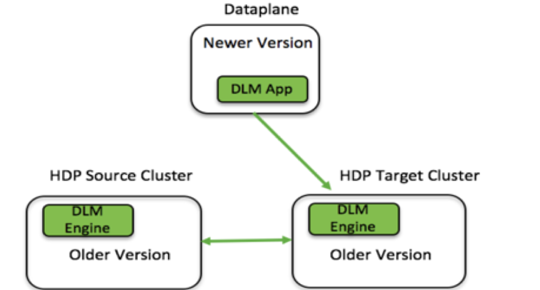 Upgrade Dataplane Platform and DLM App on the Dataplane host. To upgrade from one version of DP to the higher version, see the DataPlane Installation guide. Follow these steps to upgrade from one version of the DLM App to the higher version. DLM 1.4.0 version supports HDP 2.6.5.1100 and HDP 3.1.0.13 releases. If you are on an earlier release of HDP, you must upgrade to HDP 2.6.5 1100 release.